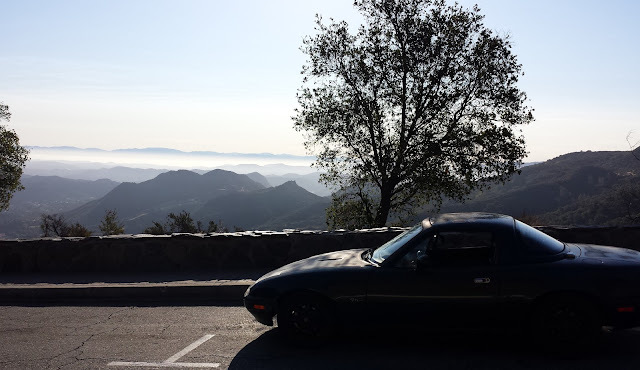 As I said, the Miata brings me a great deal of joy when I'm driving it on fun roads, however, I can't share that joy with my family because the Miata only has two seats. That means whenever I drive it, I have to either ditch my family or only drive when they are off doing something else, which isn't that often. The end result is I don't drive the Miata much at all. I've owned it almost four years and have put fewer than 4,000 miles on it, with the vast majority of those being driven before Frugal Babe came along. Since then, it mostly sits. I'm going to miss size shaming normal cars. The biggest change between now and when I last discussed the Miata is that I've had to live with it in my garage for a while. 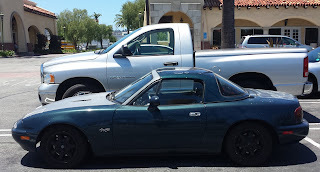 Back then, the Miata was parked outside, but we finally cleared enough junk out of the garage to put it inside. I like having it protected, but it feels a little too cramped in there for me, and it's getting in the way of a lot of other projects. I actually considered selling the Miata a while ago, but I kept it because I wanted to design and sell accessories for Miatas. I was going to use my car as the guinea pig for my parts, but I eventually lost interest in that idea. Now that I can't justify the car as a business expense, there's one less reason to keep it. Honestly, money is the least compelling reason for me to sell the Miata. I'm not going to be able to get much for it, so it's not really going to contribute to our nest egg. It's also relatively cheap to register and insure. Don't get me wrong, I'm not going to miss paying those bills, but it isn't going to automatically save our budget or anything. 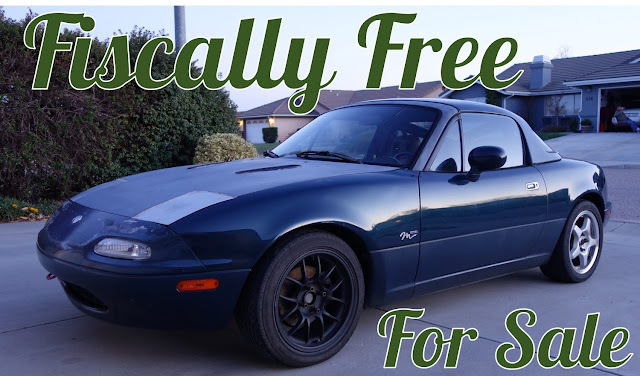 The only real justification to keep the Miata around is to give me basic transportation when Chrissy and Frugal Babe are using the family car. 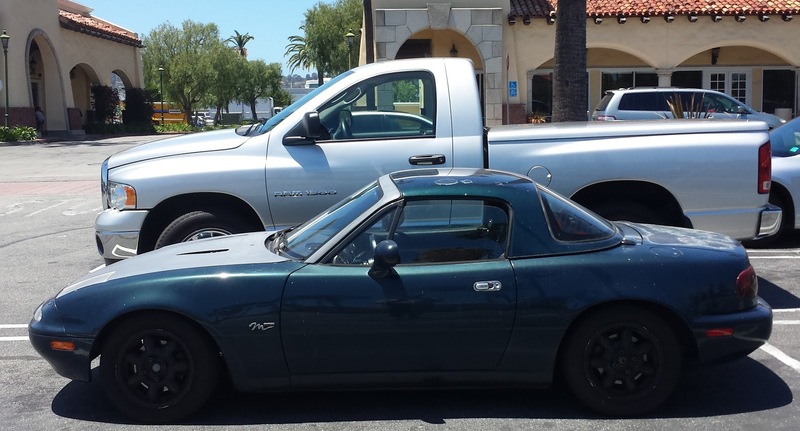 However, we still have the truck, so I can use that if I really need to go somewhere, and the Miata is incredibly impractical, so it isn't great for that purpose anyway. At the end of the day, I'm going to miss it, but it's time for the Miata to go. Have you ever sold a car you loved? Let us know in the comments. If you want to easily track the money you make when you sell a car, we highly recommend Personal Capital. It's a FREE tool that makes financial management fast, easy and secure. Here at Fiscally Free, we use Personal Capital and we recommend you try it today. You'll be glad you did.